We’d love your help. Let us know what’s wrong with this preview of CRAYONS FOR THE CITY Reneighboring Communities of Faith to Rebuild Neighborhoods of Hope by Kevin R. Yoho. When a fire severely burned a small boy and displaced his family, it left lingering marks on the entire neighborhood. As a community pastor, Dr. Kevin Yoho not only witnessed the visible signs of despair but also came to understand the pain hidden in the flames. He will be your guide as you step outside your organizational structures through the practice of what he calls r When a fire severely burned a small boy and displaced his family, it left lingering marks on the entire neighborhood. As a community pastor, Dr. Kevin Yoho not only witnessed the visible signs of despair but also came to understand the pain hidden in the flames. He will be your guide as you step outside your organizational structures through the practice of what he calls reneighboring. Crayons for the City is about training leaders to be a new kind of community network engineer who will realign their organization’s priorities, resources, and values to serve the public good. It’s a story about how one community of faith improved the lives of hundreds of families by taking a walk across the street with fresh expressions of the good news. How do leaders grow and change—from holding on to ineffective ministry models to building new connections of grace and gratitude? The journey is not an easy one for most. Crayons for the City starts with the reader’s own context and offers a new methodology of how to engage it. 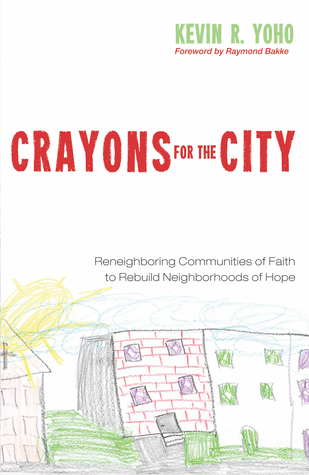 To ask other readers questions about CRAYONS FOR THE CITY Reneighboring Communities of Faith to Rebuild Neighborhoods of Hope, please sign up.